There are many ways of chopping up vegetables and fruit. Probably the safest is the easy cut. 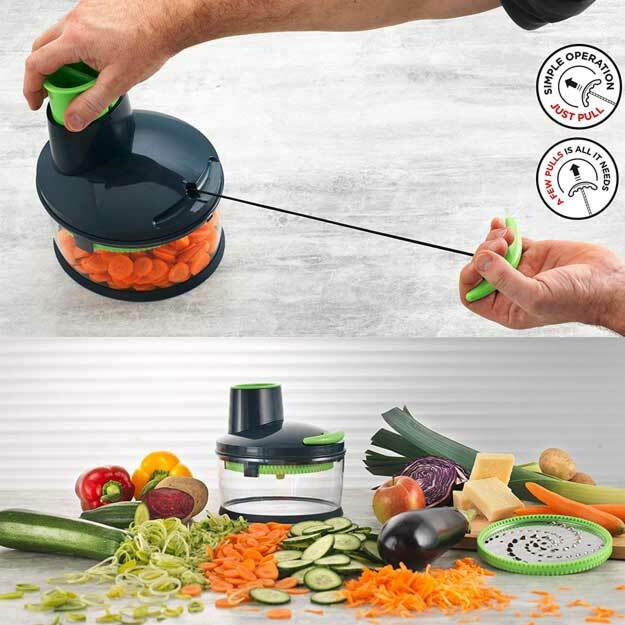 With this handy kitchen gadget, raw carrots, cucumbers, cabbage, potatoes, zucchini, apples, and eggplant can be cut into even slices or finely grated just with pull power. The concept of the easy cut is based on the tried and true technique of the Swiss chop-chop universal chopper: an ingenious and extremely efficient pull mechanism.